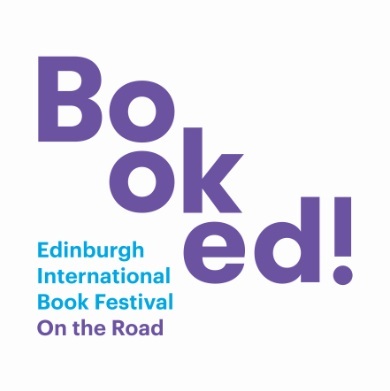 This week saw Edinburgh International Book Festival step outwith Charlotte Square as part of their ‘Booked!’ series and into HMP Edinburgh, bringing the festival to the prison with a visit from Edwyn Collins and Grace Maxwell. In a discussion facilitated by Edinburgh International Book Festival Director Nick Barley, Edwyn and Grace told their story of how they met and the success around Edwyn’s band Orange Juice in the 80s, his solo hit “A Girl Like You” in the 90s, his stroke 10 years ago and subsequent recovery. Grace spoke about her journey with Edwyn as his manager and wife, and her new book “Falling & Laughing – The Restoration of Edwyn Collins”. Edwyn also brought his guitar along and performed “A Girl Like You”. The event was a great success, bringing the Book Festival to those who are unable to visit Charlotte Square, and Edwyn’s story of recovering from his stroke was particularly inspiring and thought-provoking for all those who attended.